We're excited to help you learn how to do your first cartwheel or to put the polishing touches on that back handspring! 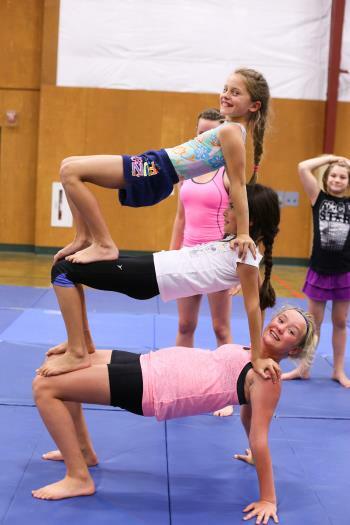 Each morning campers will work on their gymnastic skills and during the afternoon they will experience camp wide activities with their cabin mates. See you soon!